Xiaomi overtook Samsung to become the biggest smartphone brand in India during the final quarter of last year, but the company isn’t exactly resting on its laurels. While the Redmi Note 4 was a massive success for Xiaomi last year, the company has followed it up with its successors, the Redmi Note 5 and Redmi Note 5 Pro, both of which have received a warm response from both the customers and the media at large. Emboldened by its continued growth, the company is said to be planning to launch as many as six smartphone models in the country this year, including the upcoming Redmi 5, which is expected to go on sale on Amazon later this week. That’s according to Xiaomi’s global vice-president and India head, Manu Kumar Jain, who revealed the company’s plans for the country in an interview to Mint. Jain revealed the company expects to open 100 exclusive stores and also try its hands at newer product categories, something it has already started with the launch of at least three smart TV models in the country over the past few weeks, including the ultra-successful Mi TV 4. He also said that the company will look to invest in a number of Indian startups over the next few years, although, he didn’t divulge the exact numbers. Jain was only reiterating what the company’s founder, Lei Jun, had originally said last November, when he revealed plans to invest up to $1 billion in the country’s startup ecosystem over the next five years. So far, Xiaomi and its sister company, Shunwei Capital, is believed to have invested in 10 tech start-ups in the country, including the likes of ShareChat and KrazyBee. 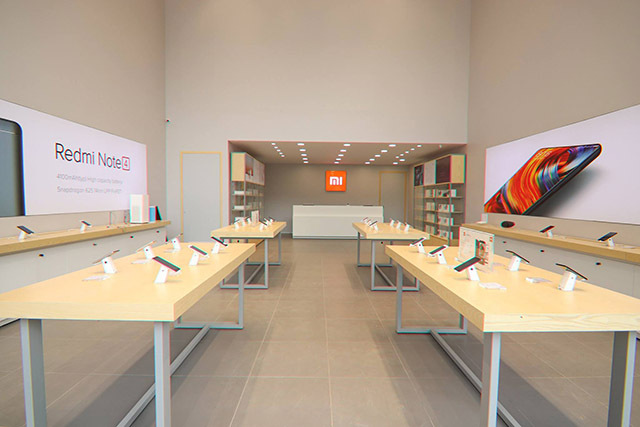 Jain also hinted that the Xiaomi will increase its product catalog in India going forward, although, he didn’t specify exactly which products will make it to the country in the immediate future. The company sells a bewildering array of devices in its homeland, including smart pens, home appliances, smart umbrellas, smart bedside lamps and others, none of which has made it to the Indian market thus far.